Muv-Luv Kickstarter has ended with 7890 backers and over $1,250,000! We did it! We did it everyone! At $1,255,444 and 7890 backers (such perfect numbers), we are the most funded, the most backed VN Kickstarter ever! A big Thank You to everybody who helped contributed to this momentous moment in history! You have done your part to bring this small, yet amazing franchise to the English audience! Also, a big Job Well Done; Mission Accomplished! 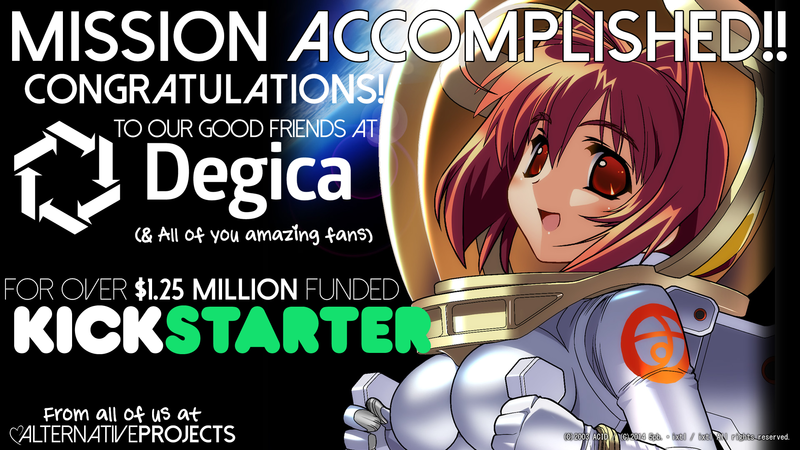 to the Degica team who carried out this Kickstarter project successfully! Please do join us in chatting and sharing your experiences on the Muv-Luv Forums for the Kickstarter, and do keep an eye out for more updates from the Degica team as production gets underway! And here’s a video of the final moments of the KS for your viewing pleasure.